What is the cost of drug detox? That varies depending on a number of things, including insurance coverage, type of addiction, treatment facility location, amenities offered, and prior history of recovery attempts. In general, outpatient care is less expensive than inpatient care, but inpatient care might be more effective for some people. To them, the added cost of successful treatment might outweigh the savings involved with cheaper programs that just do not work. According to the National Institute on Drug Abuse, rates of drug abuse are on the rise in America with 9.4 percent of the population ages 12 and older reporting past-month illicit drug use in 2013, an increase from the 8.3 percent rate in 2002. While all these individuals won’t end up hooked on the drugs they are abusing, many do end up with addiction. For most, the path out of addiction starts with detox. During detox, the body processes out the substance it has become accustomed to abusing. This process is known as withdrawal, and it is often referred to as detox, but the two are not one and the same. Withdrawal is what your body goes through while detox is the process that facilitates it. 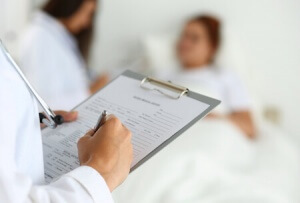 Inpatient medical detox involves slowly weaning an individual off drugs and/or alcohol in a controlled manner under the supervision of medical professionals. Outpatient care differs in that clients come to treatment for scheduled visits and then go home to sleep at night. There are no overnights spent or residential requirements with outpatient detox. Thus, outpatient treatment is generally less expensive merely because it doesn’t involve round-the-clock care or lodging expenses. This financial difference is likely the deciding factor for many who opt for outpatient treatment over inpatient care. In 2013, the Substance Abuse and Mental Health Services Administration reported 90.2 percent of clients in rehab on a given day were there on an outpatient basis. Various medications are sometimes used during detox to mitigate the effects of withdrawal, and these medications come with a price. Antidepressants are commonly prescribed during detox to mitigate the symptoms of sadness that frequently occur. Depending on the antidepressant being prescribed, the cost could weigh in at just $21 a month or as high as $1,000 for a mere 30-day supply, Consumer Reports notes. Benzos are sometimes used to calm individuals during detox and relieve anxiety and paranoia. In one year, the average cost of prescription benzodiazepines for Medicare beneficiaries was $190, per the journal of Psychiatric Services. Sedative hypnotics and other drugs commonly used to treat clients during detox can cost more on top of the price the facility itself charges. Medical detox is the preferred method of detox for individuals who need to withdraw from alcohol, benzodiazepines, and opiates, like heroin or prescription painkillers. NIDA reports some 2.1 million Americans were hooked on prescription opioid pain relievers in 2012, and another 467,000 were addicted to heroin. Withdrawal side effects from opiates can range from sleepiness and mood swings to seizures and coma, but medications like methadone and Suboxone can limit the occurrence of these symptoms. Between 2001 and 2011, 14-16 percent of clients admitted to treatment programs in the United States were seeking help for a primary heroin abuse problem, DrugWarFacts notes. SAMHSA reports there were 313,921 people in medication-assisted opioid treatment programs in 2012, and 98 percent of them received methadone. Over the course of one year, which is the minimum recommended time individuals are encouraged to stay in medical detox treatment for opiates, methadone maintenance treatment costs around $4,700 per person, according to the National Institute on Drug Abuse. The use of medications for any detox experience is assessed by medical professionals and determined on an individual basis. Psych Central notes the number of clients in treatment for opioid abuse and addiction account for only 20 percent of those who need it. Many treatment centers will refer to their detox programs as holistic. This doesn’t necessary mean the detox process doesn’t use medications if needed. Holistic may simply address the fact that the entire person – mind, body, and spirit – is treated. Since detox is not a comprehensive addiction treatment, it’s essential that comprehensive care involves the psychological aspects of addiction. Rapid detox is promoted by some treatment clinics as a quick-fix treatment to cure addiction. These clinics advertise that individuals can quickly and painlessly detox; however, rapid detox is not a safe process. In addition to a lack of effectiveness, rapid detox carries numerous health risks, and individuals have died while undergoing it. The cost of a rapid detox program can reach as high as $10,000, and insurance companies generally don’t cover any portion of it, per USA Today. Mental illness must be treated at the same time as substance abuse and addiction issues for the best shot at a full recovery. Most individuals will benefit from combined treatment that utilizes prescription medications (if needed), therapy, and lifestyle changes. Motivational Interviewing and Cognitive Behavioral Therapy have both shown great results for those who are troubled by co-occurring mental health and substance abuse problems. With a combined approach toward treatment that reaches past detox to incorporate therapy and long-term support for people in recovery, abstinence can be reached.